Viv is for those of us who like their cakes with a bit of a kick. The classic flavours of chocolate, cherry and vanilla are reworked into this chic, modern celebration of light and dark. She's also my personal favourite. The moist chocolate sponge is soaked in a Kirsch sugar syrup and filled with lashings of Morello cherry jam and Chantilly cream. 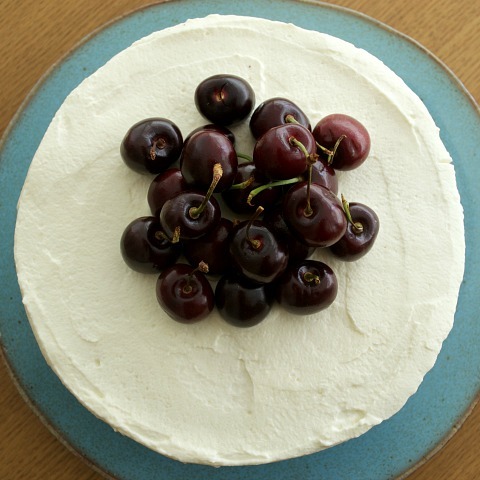 The masking is also pristine white Chantilly cream, the ideal counterpoint to the dark shine of the cherries on top and the deep, dark cake inside. 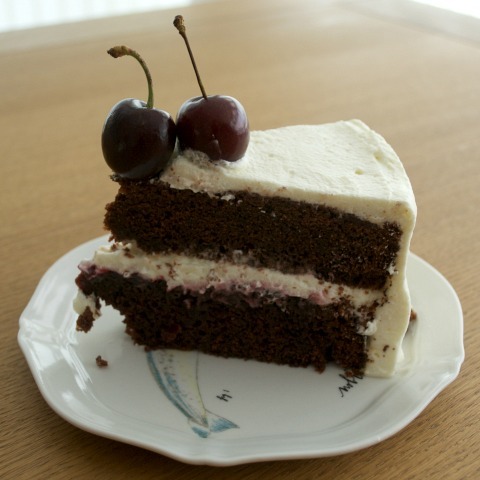 Viv is a double layer of sponge, filled with Morello cherry jam and Chantilly cream. 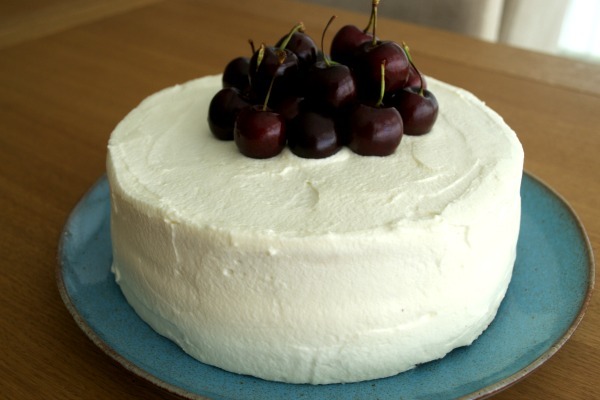 She is also covered in Chantilly and decorated with fresh cherries. I recommend eating all of the cakes within 72 hours of delivery to enjoy them at their best. Viv will need to be refrigerated up until an hour before you are looking to eat the cake. The cake should be allowed to sit out to return to room temperature before serving. Refrigeration is necessary due to the fresh cream filling and masking. I advise taking this into consideration should the cake be needed to stand for long periods of time or if it is for an event during the Summer months.